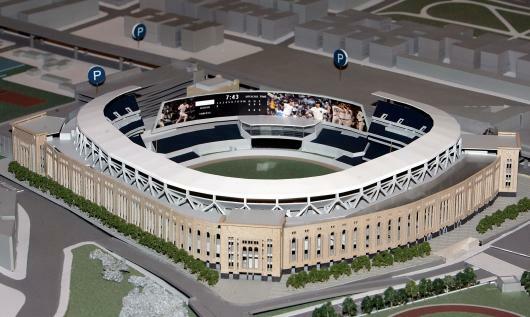 It might be your dream to have your favorite sports teams stadium in your own backyard. Just think you would not have to pay for parking. Would not have to worry about travelling to the games. Best of all, you would be able to feel the energy of the stadium even in the comfort of your own home. However, having a home near a ballpark also has it assoicated cost. Due to the fact that sports teams need new stadiums frequently, there is always going to be a group of people that need to pay for that stadium. One of the ways cities pay for stadiums is by increasing property taxes. This could affect you and your ability to pay your mortgage on time. Remember that the "T" in PITI is property tax, and if the taxes are going to rise because a team needs a new stadium then you might lose your home. Taxes are not the only issue that you might have. Since homeowners are aware of the likelyhood that taxes will increase the relative value of similar properties are higher in areas that do not have stadiums in their area. What does this mean to you? You home will not be worth as much an area that has a stadium in the area. So as much as I the fan in me wants my teams to play in my area, the personal finance student in me wants them to be a little further away. I agree having a sports arena in our backyard seems like a good idea. Property taxes in some areas are too high which makes it unaffordable for middle class people.